The US soldiers injured when a roadside bomb exploded on a military convoy near the Kandahar City. The explosion was followed by firing from suspected Taliban hidden in the area, announced in a press release issued from US Bagram airbase. In the ensuing fight, the US forces captured three attackers. The statement further said the injured were shifted to a US military facility at Kandahar airport where their condition is stated to be out of danger. On Friday, coalition forces claimed they had gunned down 10 Taliban in the Deh Rahod district of the southern Uruzgan province. Meanwhile, four rockets landed in the Deh Sabz district of the central capital of Kabul last night while another two rockets hit a house in Jalalabad, capital of the eastern Nangarhar on Saturday morning. Officials here confirmed the attack but said it was not directed at the ballot counting centre at Pul-i-Charkhi. The rockets landed in Deh Sabz which is far from the centre where vote counting is underway. In a similar attack, two rockets landed in Jalalabad. One rocket hit a residential house while the other landed on a road. Sources have announced the attackers wanted to target the counting centre to disrupt the counting. But the police chief rejected the possibility. Earlier, ballot count was delayed for a day when two rockets landed near the regional centre in Jalalabad on Tuesday morning. He also said: his country had granted $40 million for the elections besides sending a large number of observers to monitor the landmark event in Afghanistan. 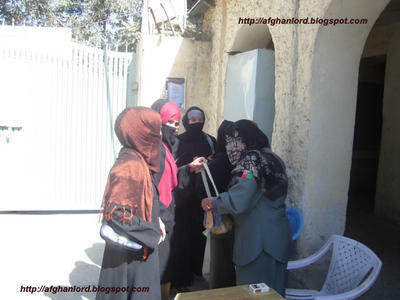 A large number of women in Zabul, Nangarhar, Khost and other provinces failed to vote in Afghanistan's first parliamentary elections in more than three decades. In remote villages of the southeastern Khost province, eligible female voters were avoided to go in polling station to vote for their destiny. Thus no women voted. Not even a single woman could exercise her begging rights. As women candidates was very less comparing to men but presence of women in polling stations were not much. Many of them has disappointed with the last presence in the presidential election last year. 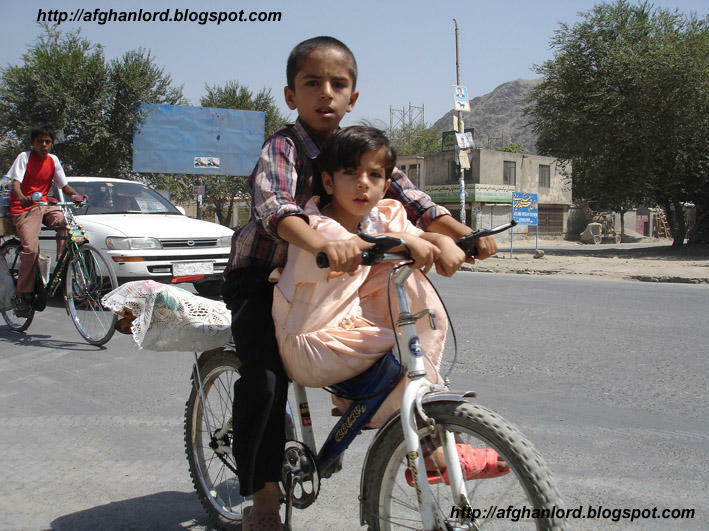 Afghan woman still suffer from injustice and pains from their men. A day before the election, i met two young ladies which were coming out from Malalai Hospital in the city. 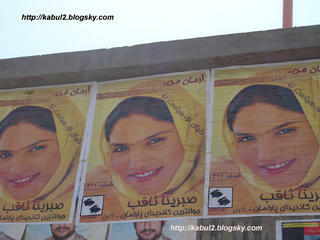 I asked them “to whom you are going to vote, who is your favorite among 400 condidates in Kabul city?" She was telling the story very tragically while a person from inside the hospital called her and she left me. In many polling station people arrived earlier than expected time. Many of the voters were complaining that they waited in line for two three hours until they got their turn. Local police treats to people was so bad. Many of the voters were threatened from police. There are number of reports from remote areas which are saying that the police avoid most of the voters to vote for their favorite candidates. One of them said: “While the police stopped us in the check point for checking they were telling us to vote for their candidate that they want, even they threatened us if we do not vote, they make problems. 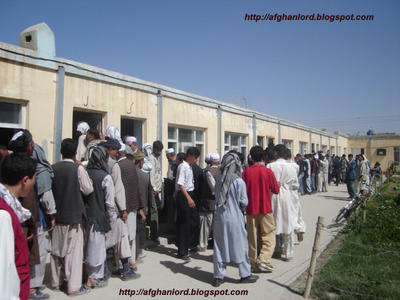 In another reports from Takhar (northern of Afghanistan) were saying that because of bad behavior from police a large number of people men and women left the polling station. This was happened while a police beaten an old man. They were saying that police is for taking security not to beat or threat the people but while we faced this serious problem we peacefully left the polling station. Only a few days are left before the historic parliamentary and Provincial Councils in Afghanistan. This is a great national event in which the Afghans are paying a great hope and expect that this should lay the foundation for a democratic society in their land. It is true because for the first time in its volatile history the Afghanistan nation is going to the polls to elect their representatives to the Parliament and the Provincial Councils in a democratic, free and fair manner. With holding of the parliamentary and the provincial councils elections we in fact are completing the mandate of the historic BONN agreement that demanded formation of a people’s elected the prevailing challenges lying before the nation. With these lofty aims in mind, the representatives of the nation and the government of the Islamic Republic of Afghanistan in particular are facing the gravest challenge of the time that is to overcome and shoulder the heavy load of the people’s problems and the great task of reconstruction of the country and the same time unifying the ranks of the tribes and nationalities in Afghanistan to ensure their active participation in the political life and rebuilding of the country and in promotion of democracy. The Afghanistan nation is passing through its most delicate period in history at a time that the sworn enemies of this country intensifying their intrigue and wild sabotage by embarking on terrorist attacks against the National Army, the coalition forces and NGO workers and the state officials. Thus in most cases they are taking the lives of the innocent souls to satisfy their wild wishes, in spite of the fact that the security forces are in fully awareness and are taking every precaution to prevent their assaults. Meanwhile, the people are willing to vote for the best personalities who can represent them in the country’s parliament and the provincial councils. The future parliament of the country should be the house of people and a center to bring all Afghans together brotherly and try to solve their problems. The Parliament should ensure legality and justice and to enable the public enjoy their rights in the country’s constitution and other enforced laws. It should be noted that the political developments in Afghanistan are also in the focus of attention of the international community and the friends and foes of the country and they are monitoring our movements and every step that we are taking towards consolidation of democracy and social justice in the country. They may ask whether this poverty-stricken nation can bid farewell to its past better period and promote democracy and legality in the wounded country. 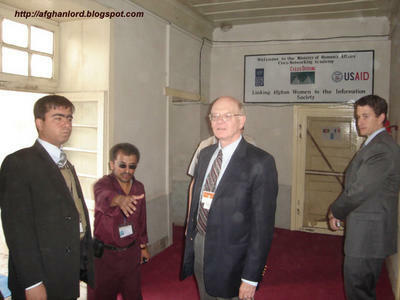 Meanwhile, the lofty aspirations of the Afghanistan nation can be realized through the members of the new parliament to be elected on the 18th of September 2005. our parliament should be strong enough to address the ground realities of the country and lead the nation towards prosperity and well-being. Because the nation expect their representatives to the country’s to take note of these realities and show to the world that they are really a united nation and they can overcome their problems with unanimity of view and coexistence. The Afghanistan nation should not forget the global community helps and should thank from the international especially those who sent troops to Afghanistan for taking the security land. God bless them we appreciate of different kids of helps from international. Hope to not forget Afghanistan again. Some unidentified men Wednesday distributed fake ballot papers comprising muddled names, pictures and registration numbers of four candidates in the western Herat province. The names of Abdul Raziq Zamanzi, Syed Shafiq, Haji Mohammad Alam and Qazi Nazir Ahmad were printed on the bogus ballot papers. However, the actual papers are lying safe in the provincial office of the Joint Electoral Management Body (JEMB). Syed Shafiq, one of the contestants, has told to Media his registration number 111 was replaced with 76, which belongs to Abdul Raziq Zamanzi. "After I warned of going on hunger strike, JEMB officials showed me real my name and picture on a form they had." The distribution of sham ballot papers might damage the election campaign, he maintained. Interestingly, each of the four men claimed his rivals had masterminded the distribution of the sham ballot papers. By the same token, the name, picture and registration number of Haji Mohammad Alam were replaced with Qazi Nazir Ahmad's. When approached for comments, both declined to say anything. Abdul Aziz Shamim, an official of the National Democratic Institute, described the act as plain violation of the electoral law. He confirmed the receipt of the fake papers, saying the matter was being probed. 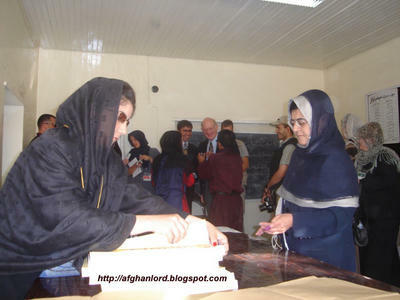 JEMB's external relations officer in Herat Philippa Neave also confirmed the circulation of the sham ballot papers. He said the perpetrators would be traced soon. range of opinions both geographically and substantively on radio and television. about who to vote for on Sunday. The Interim Report consists of a monitoring report covering the pre-election period; a onitoring report covering the official Campaign Period from August 17 to 30; a set of daily reports of the rise of the number of candidates using the Sponsored Advertising Program, and a number of graphs that give information on the various stations and provinces using the program. analyses of this campaign, as it relates to the media. It provides only preliminary conclusions. This is deliberate. Further comments will be made in the final report once the final data has been assessed. The journalism in this campaign has not violated code of conduct rules against hate speech, incitement to violence or any other serious concerns of a Media Commission, to our knowledge. On the other hand, covering 5,800 candidates has been a challenge that has severely tested the media. and more than 30 new private radio stations established. 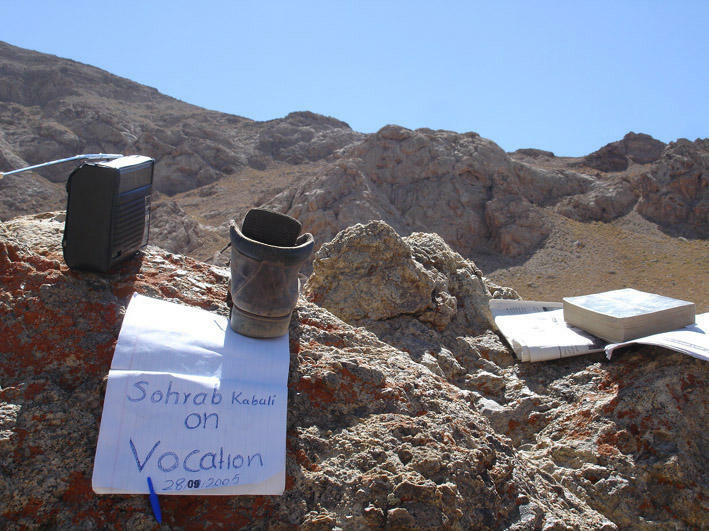 International radio stations including BBC, Radio Azadi, Voice of America, RFI, and DW now broadcast in Afghanistan. While private broadcasting has flourished, the state broadcaster, RTA, has failed to keep up with this media growth. Provincial authorities retain direct control over much of the local media, and their journalists still feel answerable to national government as well as local figures. Where governors were approached by the media Commission to loosen the constraints this was often successful. However, official influence is still strong, and the arrests of several journalists and unconfirmed reports of intimidation continue to have a chilling effect on free, professional journalism. In this environment, the daunting task of covering 5,800 candidates has been tackled with inevitably mixed results. The Sponsored Advertisement Program, with 2,889 candidates approved for broadcast as of September 13, brought a uniquely wide range of opinion to the Afghan airwaves. This has provided a wealth of information that should be positive for the future political development of Afghanistan. The integration of this range of opinion into the journalism of the first parliament in nearly 40 years is a long-term process. The various political movements and regimes in Afghanistan have propagated their respective ideology and socio-political strategy through particular publications. Due to this fact, the World Press Day has often been marked with enthusiasm in the country with the publishing of a series of publicity materials. The first and the foremost publication was release in the reign of Habibullah Khan called “Shamsul Nahar” that basically aimed to enlighten the common people in Afghanistan. Later on, in the time of Amir Amanullah Khan, another newspaper entitled “Serajul Akhbar” was operating under editorship of Mohamood Tarzi, and outstanding writer and literary personality who was also nominated as father of journalism. Parallel with the lapse of time and change of the political atmosphere in the country, new dailies and publication were released. Currently there exists some 750 various independent as well as government publications in the whole country. Besides of Radio and TV station there a number of newspapers and magazines. There some news agencies which are running nowadays in Afghanistan like: Pajhwak news agency, Bakhtar Infromationa Agenciy, Hindu Kush news agency and the voice of Afghan. 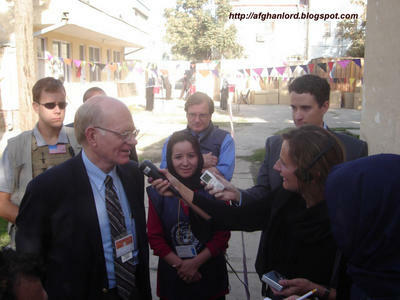 The establishment of the Kabul times in 1962 included four pages funded by the government with some 180 fully skilled and professional employees but as a result of the last two decades long political transformations in the Afghanistan, the number of staff decreased to 40 persons. This English-languages paper is considered the point of the view of the government particularly at the international level and the common people as well. The Kabul Time has been recognized for over 43 years. ANIS Daily, have being also a government newspaper was established in 1927 by Ghulam Mohi yudin Anis a cultural person. This paper had often been published in 8 pages. It covers varied political, social, cultural and economic developments and commentaries. The independent periodicals include are many and all registered in ministry of information and culture. It is hoped that these help possibly grow and boost up the people’s thinking power and potential as well. To manage the countries publications, there exists a Pres Law that helps develop and direct the entire mass media in the benefit of democracy, social justice, peace and security, cultural and political advancement in Afghanistan.